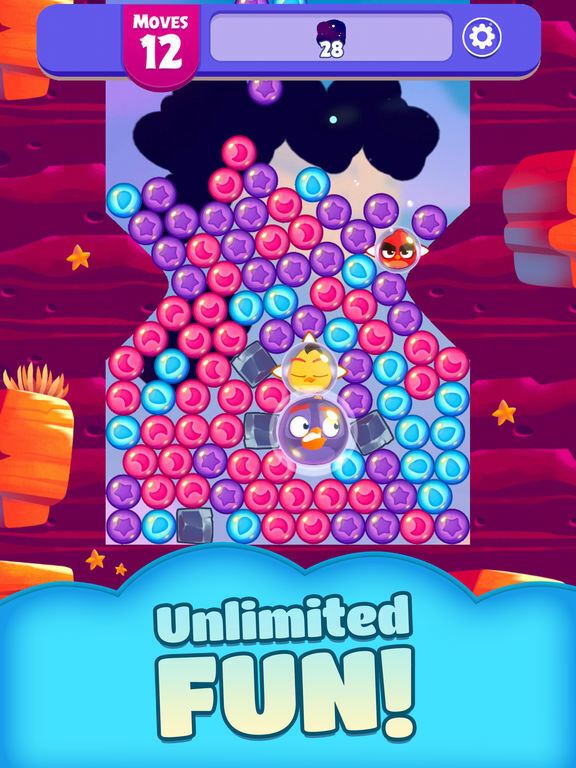 Life is a bubble-popping dream in a new puzzle game with an all-new play style never before seen in an Angry Birds game! Burst dream bubbles with the baby Angry Birds to solve puzzles and make naptime extra dreamy. With so many unique puzzles to solve, and more added every week, you can truly live the dream! Playing is easy, it's all about popping bubbles and combining boosters. Just tap to pop groups of similarly colored dream bubbles. Pop enough bubbles at once and you'll earn a Red booster! 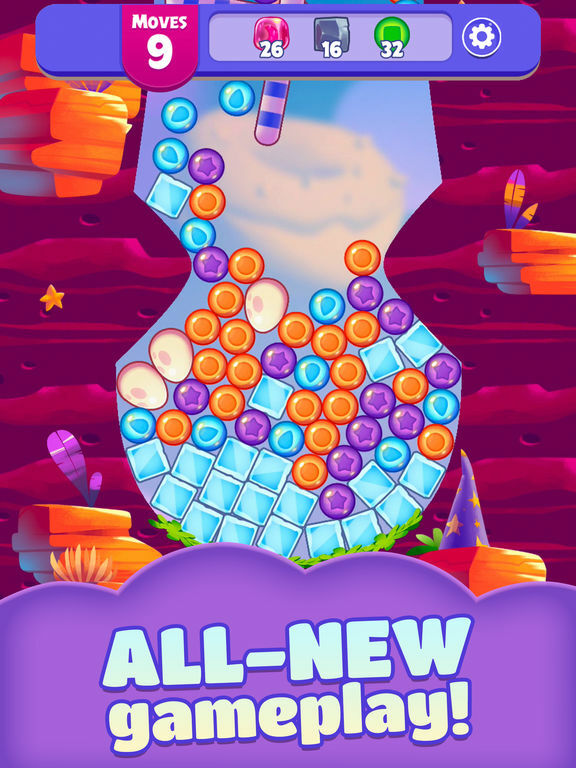 Tap Red to take out a row of bubbles -or- combine two Reds to make a Chuck that pops bubbles in four directions. Combine two Chucks to make the extra powerful Bomb booster! 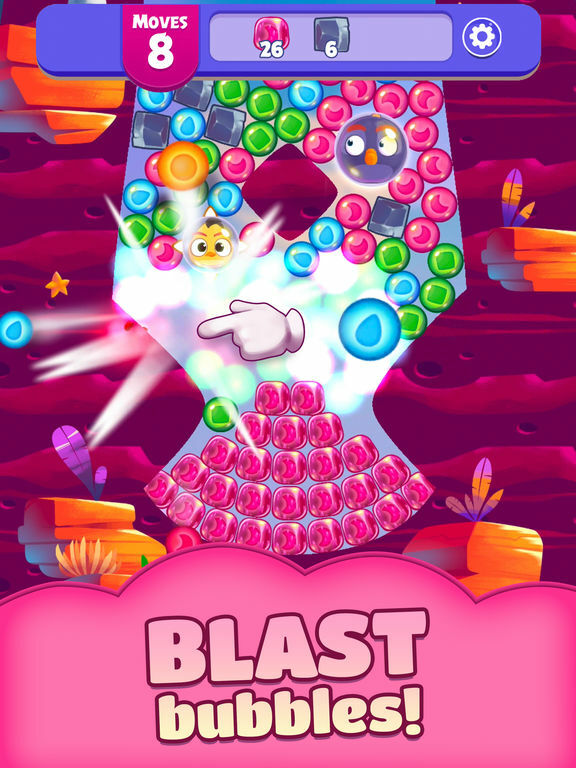 Baby Bomb may look cute, but his explosive energy can even clear an entire screen of bubbles! Combine more bubbles at once to create more powerful boosters. Dreamy! 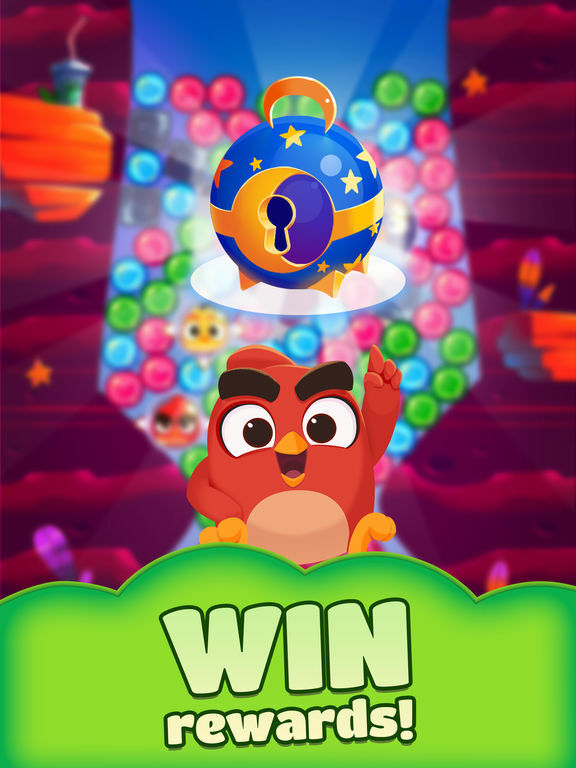 Finally, if all this isn’t enough for you, there are loads of different levels for you to play and loads of colorful balloons for you to pop, so be sure to give Angry Birds Dream Blast a try. 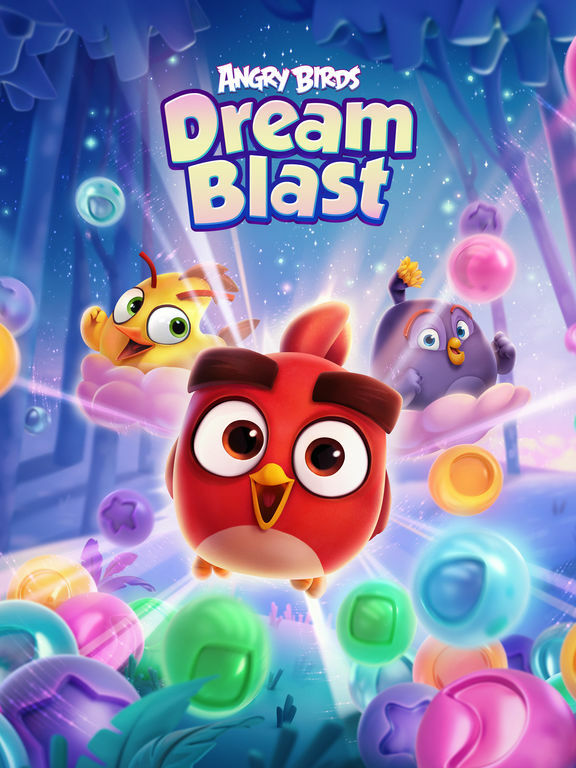 Angry Birds Dream Blast Ă¨ un puzzle game semplice e immediato, non particolarmente sofisticato nelle sue meccaniche ma senz'altro in grado di garantire un intrattenimento spensierato nel momento in cui volete tirare fuori lo smartphone per fare una partita. 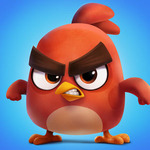 Complice la grafica coloratissima e una colonna sonora divertente, il titolo Rovio cattura subito l'attenzione e ci accompagna molto gradualmente in una campagna parecchio lunga, composta da centinaia di stage che vengono costantemente aggiornati, e con cui ci si puĂ˛ cimentare gratuitamente senza particolari problemi. Un simpatico passatempo in attesa del prossimo episodio di Angry Birds, insomma.